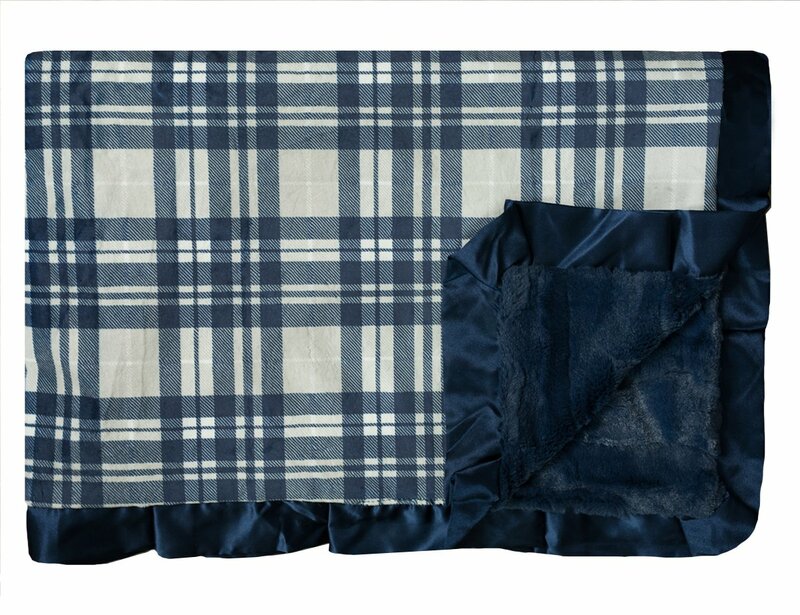 Snuggle up close with this adorable classic plaid print! Navy plaid on a light gray background. Soft navy minky on the back with a navy satin ruffle. Our exclusive fall plaid designs can only be found at Minky Couture.